Newcomer Family Obituaries - Geraldine May 'Gerry' Moon 1922 - 2019 - Newcomer Cremations, Funerals & Receptions. 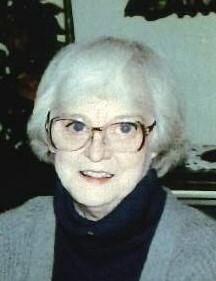 Geraldine May "Gerry" Moon, age 96, of Toledo, passed away March 15, 2019 at her home. She was born August 17, 1922 to William and Mable (Schultz) Hennessey. Gerry was employed with the Washington Local Schools for more than 12 years retiring in 1985. The family will receive guests Saturday, March 23, 2019 from 10:00 a.m. - 12:00 p.m. at Newcomer Cremations - West Sylvania Chapel, 3655 King Road (419-392-9500). Funeral Services will begin Saturday at 12:00 p.m. at the funeral home. Burial will follow at Ottawa Hills Memorial Park Cemetery. Memorial contributions may be made to the Toledo Area Humane Society in Gerry’s memory. To leave a special message for Gerry's family, please click on the share memories tab above. Add your memories to the guest book of Geraldine Moon. Couldn’t have asked for better next door neighbors! Some of my greatest childhood memories are the interactions with the Moon/ White Family! My times as a teenager riding to Nettle Lake with Mrs Moon for weekend escapades with Pat & Gerri- Priceless!